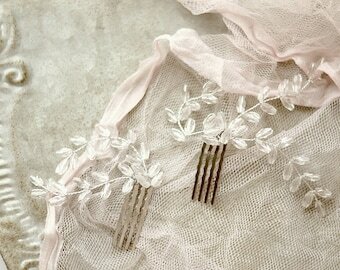 I select quality vintage and modern materials to create delicate yet long lasting headpieces for any occasion. If you have any questions or would like to request a bespoke design feel free to message me! *Please keep in mind orders typically leave my studio in about 3-5 days. If you need something in a hurry, please contact me before making your purchase. 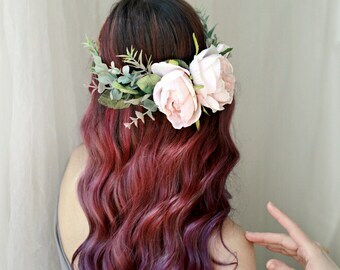 I created Gardens of Whimsy in 2009 and through the years have handcrafted thousands of timeless hair adornments. 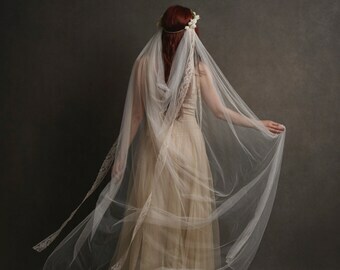 My designs are inspired by the wildness of nature and the aesthetic of bygone eras. 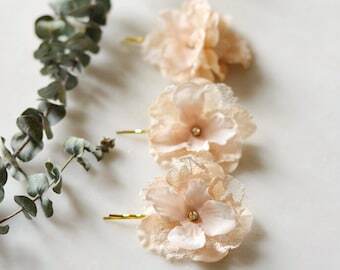 I use the finest silk florals and vintage supply to create each piece with care for detail and craftsmanship. 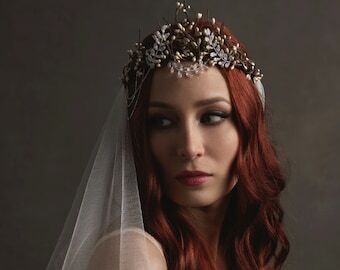 Most of my creations are worn during important occasions, so I put my all into creating pieces that are intricate and long lasting -- that they may even become future heirlooms to pass on if you wish! 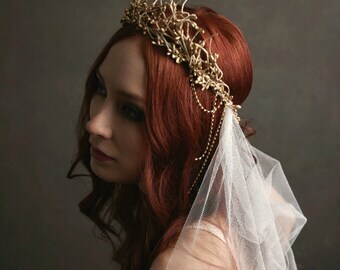 Never in my wildest dreams did I think my path would lead me to a life of designing whimsical headpieces for a living! Year after year, I feel so fortunate to have the opportunity to be creative and of course to be surrounded by flowers on a daily basis. I live above a cupcake shop and work from my hobbit sized home studio. In my spare time I enjoy collecting antiques, picking wildflowers, sewing historical garments. 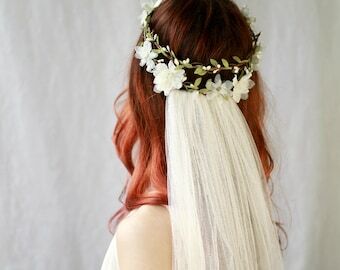 My crowns are made to fit 22" heads, but if you need a different measurement or would like a crown to be split and ribbons added just let me know and I would be happy to accommodate you free of charge! 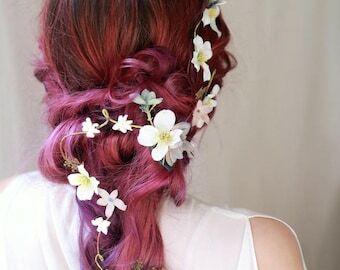 As for combs, clips, or hair pins please note that these are adornments and work best as an addition to your hair style. 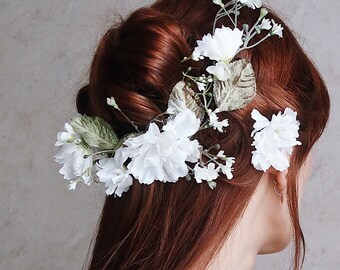 They will be much more secure through your day or special event if you pin your hairstyle in place first, then adorn it with your new hair accessories. I love doing custom orders! Due to scheduling I only can take on a select number of custom orders each month, but please contact me with any ideas or visions you have! If I am able to work with you on a custom piece, turn around time is usually 2 weeks. Please take note that custom orders usually cost slightly more than my set inventory depending upon the amount of time/cost of supply need to create your order.